Review It seems like Fedora 10 came along just yesterday, but already Fedora 11 is here. If the quick turnaround time smacks of the sort "upgraditis" that proprietary operating systems push on users, fear not. Fedora isn't trying to reinvent the wheel every six months. Instead, the move from Fedora 10 to 11 promises to carry on with the same, solid tradition of the Fedora line. There are a handful of new features, many updates to improve existing functions, and some under-the-hood improvements. Of course, it wouldn't be a Fedora release if there wasn't one giant leap into the unknown. And Fedora 11 does include some bleeding-edge technologies, including one that some might argue is too bleeding edge: the ext4 filesystem. Fedora 11 is the first major Linux distro to make the move to ext4. While the most recent release of Ubuntu included support for ext4, Canonical opted to leave ext3 as the default choice. The Fedora project however, is plowing ahead, and unless you configure it otherwise, Fedora 11 will install ext4. Ext4 offers huge advantages over its predecessor and borrows some of the best features of other file system types - like the new delayed allocation function, which was inspired by features in the ZFS file systems. However, the same feature is also a source of some very serious data loss problems. Technically, the problem has nothing to do with ext4 and rests squarely on applications that don't use POSIX recommended fsync() or fdatasync() functions to write files to disk. In developers' defense, ext3 didn't handle fsync() very well and a common way to speed up an app was to remove fsync() and do straight saves to disk. However, that shortcut is coming back to haunt some in the form of lost data. The main source of pain appears to be in the Ubuntu community, though it will be interesting to see what happens now that Fedora 11 is taking the ext4 plunge. I opted for the default GNOME install of the Fedora 11 Preview Release, and thus far, I've had no problems with lost data or any other significant issues. In fact, like its predecessor, Fedora 11 is fast, rock solid, and fun to use. Among the major new features in this release are updates to the desktop environments - GNOME is now at 2.26 release candidate and the KDE flavor is using 4.2.1 - and a very helpful upgrade to one of our favorite Fedora features: PackageKit. PackageKit is a software-discovery tool that lets you quickly and easily install the bits you need to open a file. For example, if you download a PDF file but don't have a PDF viewer installed, PackageKit notices that and offers to install the software you need. It makes for a much smoother Linux experience, and since PackageKit is a generic, distro-agnostic framework, we're surprised more distros haven't taken advantage of it the way Fedora does. 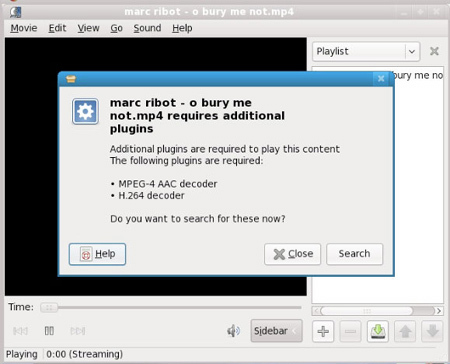 Fedora 10 laid the groundwork for PackageKit and included support for the automatic installation of multimedia codecs when you opened an mp3 or other music file. With Fedora 11, that same automation moves to the world of firmware, prompting you to install the drivers you need by checking the system requirements and then offering to download the best firmware option for your system. The process is about as simple and easy as you could hope for when it comes to getting your video and devices working in Linux. Fedora 11 also builds on another feature from version 10, adding some more advanced features in the PulseAudio sound server. The most noteworthy improvement is the new support for per-application volume control - perfect for toning down IM alerts when you're listening to music.